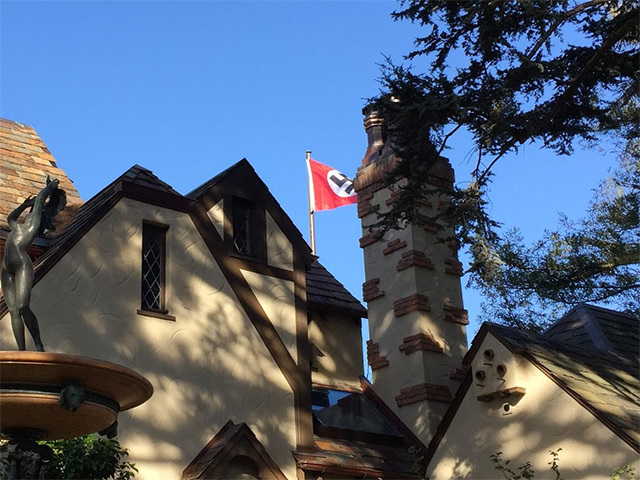 A Nazi flag appeared Wednesday on the flagpole of a Mission district home, raising immediate concern on the internet, and in the neighborhood. The homeowner who put up the flag says he wanted to make a provocatively semi-ironic "statement about our President elect," but of course his visual statement could be interpreted in a number of ways, especially outside of San Francisco  and especially with some of the anti-Semitic vitriol spouted by Trump supporters. A tipster sent us an initial photo, which we at SFist didn't immediately believe was real, but, indeed, this did happen. SFist's Caleb Pershan went to the scene of the home, which is in Dolores Heights near Sanchez and 21st Streets, and found reporters already arriving to discuss the matter with the homeowner, who declined to be identified. CBS 5 reveals that he's Frederick Roeber, an internet pioneer and a software engineer and physicist. Asked whom he had voted for in the election, Roeber said "not him," indicating Trump. A woman in the neighborhood who said her grandparents survived the Holocaust confronted the homeowner saying, "It doesn't speak to the problem he had [with the election.]... I think there's so many things going on today that people feel. It doesn't feel good today." Shortly thereafter the man who owned the home replaced the Nazi flag with a rainbow peace symbol flag. I guess he heard the message that his Nazi bit wasn't that funny. 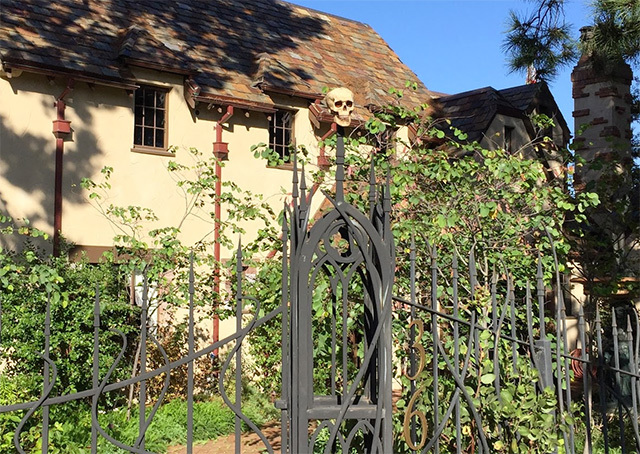 And not sure if this is just leftover from Halloween, but he has a skull atop his front gate. Brace yourselves. We're in for a bumpy few years in a very divided country. Finally, a footnote on the fountain at the residence from a 2008 Examiner article: It was a gift to a former owner of the home from none other than Benito Mussolini, made after the homeowner, an eye surgeon, operated on a relative of the dictator. 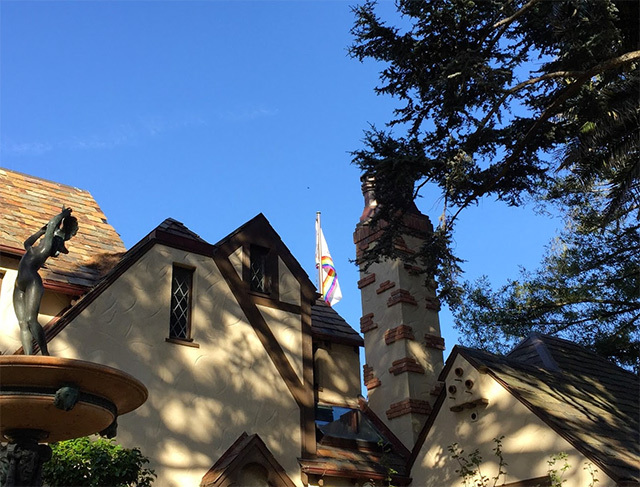 Previously, the home was a guest house built by SF Mayor and California Governor James Rolph.